In the framework of the Media Art Futures festival on art, science, technology and society I have curated a series of screenings that have taken place at the cinema theater of the Murcia Film Archive: a film and documentary cycle, a selection of videos documenting several media art projects and an ephemeral “exhibition”, titled Data Cinema (see post about this project), that featured five digital artworks in the context of a cinema theater. In her book, Alone Together: Why We Expect More from Technology and Less from Each Other (Basic Books, 2011), psychologist Sherry Turkle argues that we are entering the “robotic moment”: we are willing to establish emotional relationships with machines and accept the simulation of communication with other people or programs that simulate people. As businesses accumulate data about us by analyzing our activity on the Web and Artificial Intelligence programs are perfected, the ability to predict or simulate the actions and thoughts of a person becomes real. At the same time, the development of biotechnologies approaches the manipulation of the living, so that both our Internet presence and the fabric of life itself progressively become data sets that can be processed, edited and copied. In this context, it is difficult to establish the limits of what we call “artificial”: to what extent is artificial the intelligence of a machine that speaks and reasons as a person? To what extent is our identity on the Internet a mere fiction? 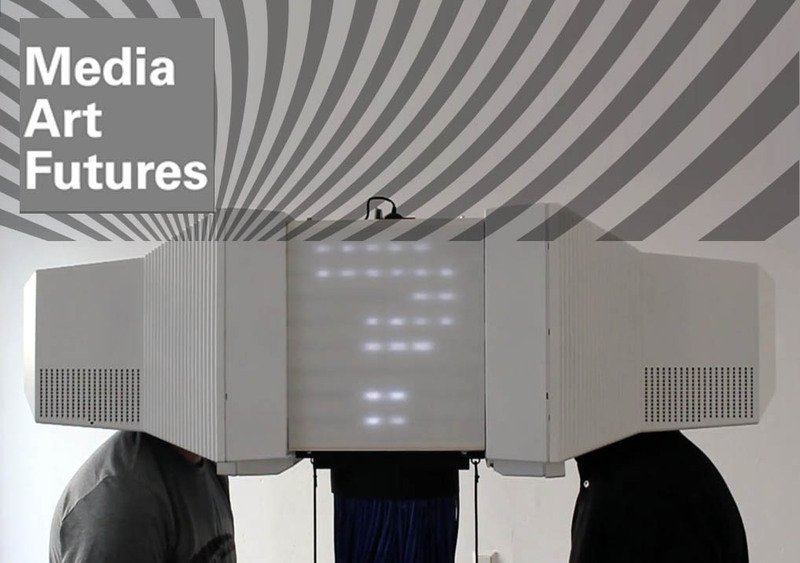 What happens when you can configure a human being as you would a machine? This collection of stories explores different scenarios in the relationship between humans, science and technology, questioning the separation between what we consider natural and artificial, real and fictional. Her chronicles the relationship between Theodore, a writer, and the Artificial Intelligence operating system that assists him in his daily activities. Spike Jonze puts forth in this film the isolation of people in big cities, the paradoxical way in which we communicate through digital media and how we live alone, together. Sam Bell is about to conclude his three year term at the Selene moon base, in a mission to extract resources that will alleviate the energy crisis faced by the Earth. Sam will be replaced by an eerily familiar substitute. In a claustrophobic ambience of science fiction, the protagonist must ask himself who, and what, he is. 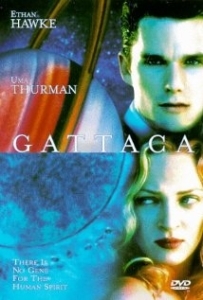 Gattaca describes a world where genetic manipulation has created a division of society into two classes, those being considered superior, designed by eugenics, and the natural-born, considered inferior. 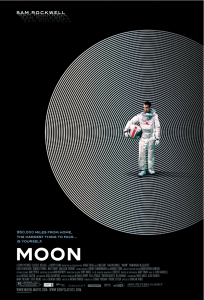 The film tells the story of Vincent Freeman, a young man who fights for his goals despite his genetic inferiority, raising ethical questions about scientific research. Catfish tells the relationship between photographer Nev, brother of co-director Ariel Schulman, and an eight year old girl, Abby, who sends him a painting based on one of his photos. Nev engages in an increasingly close friendship with Abby’s family and especially with her older sister, Megan, through social networks. But he gradually discovers that this family is not what it seems. 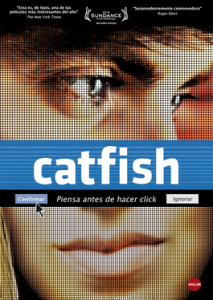 A story told in the form of a documentary that raises questions about our identity and online social life. In our interaction with digital technologies, we often focus on the devices that surround us and ignore that our actions on these devices depend on the software, which executes a previously written program code. The apparent freedom provided by smartphones, tablets, social networks or an Internet connection is dictated by that code, which is under a constant struggle for control. A fight in which users face large corporations and governments. This selection of documentary films exposes some of the current issues surrounding code written by programmers and code set by governments: software and legality have a tense and complex relationship. 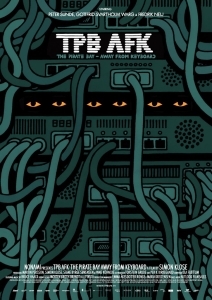 This documentary recounts the trial of the founders of The Pirate Bay: Peter Sunde, Fredrik Neij and Gottfrid Svartholm, accused by several Hollywood producers of infringing on copyrights, causing losses to the industry estimated in $13 million. The film was edited thanks to a crowdfunding campaign launched in Kickstarter and is offered freely on the project website, as well as The Pirate Bay and BitTorrent download sites. In May 2013, several Hollywood studios such as Viacom, Paramount, Fox and Lionsgate pressured Google to censor the links to the website hosting the documentary, which were only restored after the media echoed the director’s protest. First of a series of documentaries about the main programming languages Processing, Open Frameworks and Pure Data, which aims to explore the possibilities of these open source tools that have transformed the way in which artists, designers, musicians and artists develop their projects and share them with a growing user community. 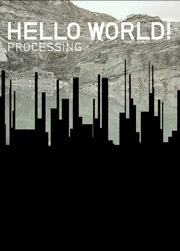 Through a series of interviews and excerpts from historical documentaries, the short film presents the possibilities introduced by computers in artistic production, design and other creative environments while offering introductory notions of the programming platform Processing, created by Ben Fry and Casey Reas in 2001 and since then developed by a large community of programmers and developers worldwide. When Google launched its Google Books project, millions of books were scanned and stored in digital format without asking permission to authors nor publishers. This generated a series of disputes culminating in an agreement between the multinational and various associations of authors and publishers . The documentary presents the disagreements between the world of analog and digital files in the particular context in which the “hacker” is a great company, not an individual. 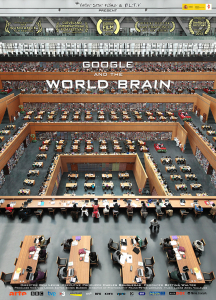 The Google project also raises the issue of a possible monopolization of human knowledge by a single company. En el marco del festival de arte, ciencia, tecnología y sociedad Media Art Futures he comisariado diversos ciclos de proyecciones que han tenido lugar en las dos salas de la Filmoteca de Murcia: un ciclo de cine de ficción y documentales, una selección de vídeos de documentación de arte digital y una “exposición” efímera, titulada Data Cinema (ver post sobre este proyecto), que ha mostrado cinco obras de arte digital en el contexto de la sala de cine. A continuación se describe el planteamiento de cada uno de estos ciclos y sus contenidos. En su libro Alone Together: Why We Expect More from Technology and Less from Each Other (Basic Books, 2011), la psicóloga Sherry Turkle afirma que estamos entrando en el “momento robótico”: estamos dispuestos a establecer relaciones emocionales con máquinas y a aceptar la simulación de una comunicación con otras personas o con programas que simulan ser personas. A medida que las empresas acumulan datos sobre nosotros gracias a nuestra actividad en Internet y se perfeccionan los programas de Inteligencia Artificial, la posibilidad de predecir o simular las acciones y los pensamientos de una persona se convierte en algo real. Al mismo tiempo, el desarrollo de las biotecnologías permite acercarse a la manipulación de lo vivo, de manera que tanto nuestra presencia en Internet como el propio tejido de la vida se convierten progresivamente en conjuntos de datos que pueden ser procesados, editados y copiados. En este contexto, resulta difícil establecer los límites de lo que llamamos “artificial”: ¿hasta qué punto es artificial la inteligencia de una máquina que nos habla y razona como una persona? ¿en qué medida es nuestra identidad en Internet una mera ficción? ¿qué sucederá cuando se pueda configurar a un ser humano como se configura una máquina? Esta selección de historias explora diferentes escenarios que plantean la relación entre los seres humanos, la ciencia y la tecnología, cuestionando la separación entre lo que consideramos natural y artificial, real y ficticio. Her narra la relación entre Theodore, un escritor, y el sistema operativo de Inteligencia Artificial que le acompaña en su día a día. Spike Jonze expone en este film el aislamiento de las personas en las grandes ciudades, la paradójica manera en que nos comunicamos a través de medios digitales y cómo vivimos en una soledad acompañada. Sam Bell está a punto de concluir su período de tres años en la base Selene en la Luna con la misión de extraer recursos para intentar paliar la crisis energética que está sufriendo la Tierra. Sam será reemplazado por un sustituto inquietantemente familiar. En un claustrofóbico ambiente propio de ciencia ficción, el protagonista deberá cuestionarse quién y qué es. Gattaca describe un mundo en el que la manipulación genética ha creado una división de la sociedad en dos clases, siendo considerados superiores aquellos que han sido concebidos aplicando la eugenesia. El film narra la historia de Vicent Freeman, un joven que lucha por sus objetivos pese a su inferioridad genética, y plantea cuestiones éticas acerca del desarrollo científico. Catfish narra la relación entre Nev, fotógrafo y hermano del co-director Ariel Schulman, y una niña de 8 años, Abby, que le envía una pintura basada en una de sus fotos. Nev entablará una amistad cada vez más estrecha con la familia de Abby y en particular con su hermana mayor, Megan, a través de las redes sociales. Pero poco a poco va descubriendo que esta familia no es lo que parece. Una historia en forma de documental que plantea reflexiones acerca de nuestra identidad y vida social online. En nuestra relación con las tecnologías digitales, a menudo nos centramos en los dispositivos que nos rodean e ignoramos que nuestras acciones en dichos dispositivos dependen del software empleado, el cual ejecuta un código de programación previamente escrito. La aparente libertad que nos otorgan los móviles, tablets, redes sociales o una conexión a Internet está dictada por ese código, que es objeto de una constante lucha por el control en el que se enfrentan los usuarios, las grandes corporaciones y los gobiernos. Esta selección de documentales expone algunas de las cuestiones actuales en torno al código que escriben los programadores y el código que establecen los gobiernos: software y legalidad mantienen una tensa y compleja relación. Un documental de distribución libre que narra el juicio contra los fundadores de The Pirate Bay: Peter Sunde, Fredrik Neij y Gottfrid Svartholm, acusados por diversas productoras de Hollywood de infringir la ley de los derechos de autor, causando pérdidas a la industria estimadas en 13 millones de dólares. El film pudo editarse gracias a una campaña de crowdfunding iniciada en Kickstarter y se ofrece libremente en el sitio web del proyecto, así como en The Pirate Bay y sitios de descarga BitTorrent. En mayo de 2013, diversos estudios de Hollywood tales como Viacom, Paramount, Fox y Lionsgate presionaron a Google para que censurase los enlaces al sitio web del documental, que sólo fueron restaurados tras las protestas del director en los medios. Primero de una serie de documentales acerca de los principales lenguajes de programación Processing, Open Frameworks y Pure Data, que tiene por objetivo explorar las posibilidades de estas herramientas de código abierto que han transformado la manera en que artistas, diseñadores, músicos y creadores de todo tipo desarrollan sus proyectos y los comparten con una comunidad cada vez más amplia de usuarios. Por medio de una serie de entrevistas y fragmentos de documentales históricos, el cortometraje presenta la posibilidades que introducen los ordenadores en la producción artística, el diseño y otros entornos creativos, a la vez que ofrece una nociones introductorias acerca de la plataforma de programación Processing, creada por Ben Fry y Casey Reas en 2001 y desarrollada desde entonces por una amplia comunidad de programadores y creadores a nivel mundial. Cuando Google lanzó su proyecto Google Books, se dedicó a escanear y almacenar copias digitalizadas de millones de libros sin pedir permisos a autores y editores, lo cual generó una serie de litigios que culminaron en un acuerdo entre la multinacional y diversas asociaciones de autores y editores. El documental presenta los desencuentros entre el mundo de los archivos analógicos y digitales en el particular contexto en que el “hacker” es una gran empresa, y no un individuo. El proyecto de Google también conduce a reflexionar acerca de la posible monopolización del saber humano por parte de una empresa. En su conocido ensayo “El museo imaginario” (1965), André Malraux afirmaba que, gracias a las reproducciones de obras que circulan en libros y catálogos de arte “disponemos de más obras significativas, para suplir las carencias de nuestra memoria, que las que podría contener el más grande de los museos.” Internet ha logrado expandir el Museo Imaginario de Malraux de forma exponencial, facilitándonos acceso a innumerables obras de arte. En el arte digital, la complejidad o el carácter efímero de muchas obras hace que resulte difícil verlas en una exposición y por ello es la documentación en vídeo que crean los propios artistas la que nos permite descubrir estas creaciones. Dos selecciones temáticas de vídeos de documentación de obra nos acercan al panorama actual del arte digital. Es ya ineludible la influencia que tienen las tecnologías digitales en nuestra vida cotidiana. Esta selección de vídeos nos muestra una serie de obras y proyectos de arte digital que examinan esta influencia y, en ocasiones, nos proponen maneras de subvertirla o simplemente tomárnosla con sentido del humor. Los artistas obtuvieron un millón de fotos de perfil de Facebook, que fueron procesadas por un programa de reconocimiento facial y ordenadas según diversas categorías. Con estos perfiles crearon una falsa web de contactos, sin el permiso de los usuarios. El proyecto tuvo un fuerte impacto en los medios y generó un debate acerca de la privacidad en Internet. En una sociedad marcada por el uso de las nuevas tecnologías, la cultura del bricolaje o el hazlo-tú-mismo también se aplica a la creación y modificación de dispositivos digitales. La cultura maker implica, por otra parte, una relación crítica con la tecnología: no sólo como mero consumidor, sino también como inventor. Numerosos artistas modifican tecnologías existentes o crean nuevos dispositivos para expresar sus ideas acerca del papel que tanto los dispositivos como las empresas de servicios en la Red juegan en nuestra vida cotidiana. En el marc del festival d’art, ciència, tecnologia i societat Media Art Futures he comissariat diversos cicles de projeccions que han tingut lloc en les dues sales de la Filmoteca de Murcia: un cicle de cinema de ficció i documentals, una selecció de vídeos de documentació d’art digital i una “exposició” efímera, titulada Data Cinema (veure post sobre aquest projecte), que ha mostrat cinc obres d’art digital en el context de la sala de cinema. A continuació es descriu el plantejament i continguts de cada cicle (en castellà).